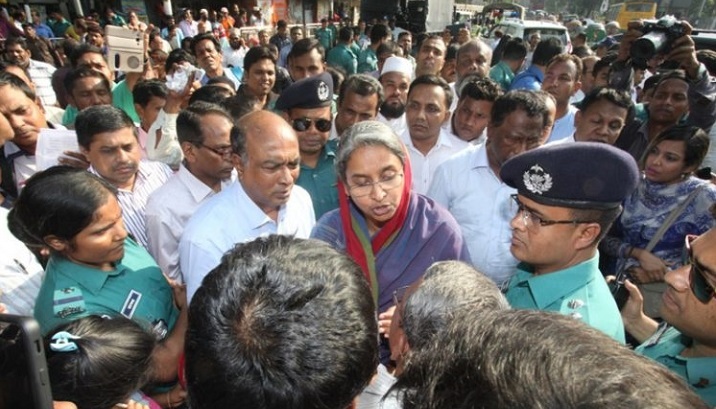 The protesting non-MPO teachers and employees of different educational institutions on Sunday called off their movement as education minister Dr Dipu Moni assured them of inclusion of their institutions in the government’s monthly payment order (MPO). In the afternoon, the minister came in front of the Jatiya Press Club where the teachers and employees were waging movement and made the assurance, official sources said. It comes three days after they started their sit-in outside the National Press Club in Dhaka demanding a meeting with Prime Minister Sheikh Hasina to ask her to get their institutions enlisted in the MPO scheme. Dipu said she would help the school and college level teachers and employees make an appointment with the prime minister to present their demands. Dipu Moni said monthly pay order (MPO) inclusion for the teachers and employees at primary level will be announced within a month. “We are trying to announce the inclusion of MPO for teachers and employees as early as possible. Application verification for the process is at final stage,” she told the protesting teachers-employees. The minister said they could realize the woes and miseries of the teachers and employees. The protests will resume if the meeting with Hasina is not arranged soon, sources from the protesting teachers said.